Product Information: USB drive recovery software enables you to recover your all lost or deleted files and folders from pen drive, flash drive, thumb drive, key drives and other types of USB storage devices. USB drive data recovery software uses advanced scanning mechanism to search and recover all lost data. Software provides option to save the recovered data at user specified location for future reference. › Recovers lost or deleted word documents, excel spreadsheets, power point slides and other official data. › Recovers all lost memorable pictures and photos in quick and easy way. › Provides preview facility to view lost data before final recovery. › Uses advanced and standard search methods to recover lost data. Accidentally deleted an important data from USB drive? Lost something important when your pen drive crashed? Need data recovery? We provide comprehensive solution to recover your all types of lost files and folders from USB drives. √ Easy-to-use and Wizard-like interface guides. √ Provides quick recovery of all lost data. √ Cost-effective, reliable pen drive recovery program. 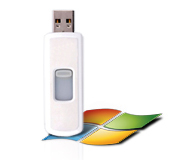 √ Supports data recovery from formatted, virus infected or logically crashed USB drives. Before performing Data Recovery you must be careful: Note ! Make sure that your USB drive is connected to your computer. Don’t rewrite any information to your USB drive. Don't store new data into the pen drives which you are going to recover.